Trains are one of the safest and most economical modes of transport in India. Either when travelling on a budget or just for the experience; trains are the best bet, and so these are some of the best trains on Indian railways in northern India has to offer. 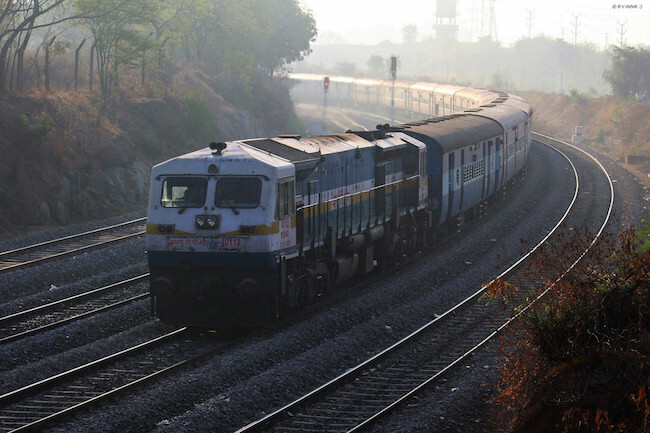 Indian trains are also quite complicated and different in the variety of classes available. Ranging from sleepers to exteremely luxurious A/C trains, here’s a complete guide to the range of classes. If you’re already deciding to come to India but have no idea where to start, or if you need some help with the logistics, get in touch with us and we’ll sort out all the hassle for you. Pros: Shatabdi is the fastest train after the Rajdhani. This train reaches Agra in 2 hours whereas a car would take about 3.5 to 4.5 hours depending on traffic.There are other trains to Agra but this is the only one that reaches in such short time. Breakfast is served, as catering is available in the train. The train also halts at Jhansi so take this train to get to Orccha from Delhi or Agra. (Jhansi is the nearest station to Orccha). Cons: As it’s an early morning train, it’s not entirely ideal for late risers. Pros: As it starts from Agra itself, the train will depart on time. The other trains on this route are long distance trains, which start from Kolkata, Varanasi, Khajuraho, etc. and will be delayed by the time they reach Agra. There is an evening train that runs every day apart from Thursday departing at 18:00 from Agra reaching Jaipur at 22:20 (Af Jp Shatabdi 12036). Cons: The travel time is the same as driving to Agra. And if you rent a car, you can also stop to visit the fortress city of Fatehpur Sikri. Also not ideal for late risers. There is an evening train that runs every day apart from Thursday departing at 18:00 from Agra reaching Jaipur at 22:20 (Af Jp Shatabdi 12036). Here are a couple of two-week travel routes around the north of India that you could do by train. Pros: It’s the only train on this route and the best alternative, as Jaisalmer does not have an airport so you cannot take a flight and it’s too long a drive. You can take a bus but from Jaipur it only goes up to Jodhpur and from there you have to take another bus to Jaisalmer. You can also end your trip in Jaisalmer and take this train up to Delhi (if your international flight is from Delhi. This train reaches Delhi at 11:10. Cons: Late night train, however, Jaipur is a busy junction and you will always find people around so don’t worry about being alone and unsafe. 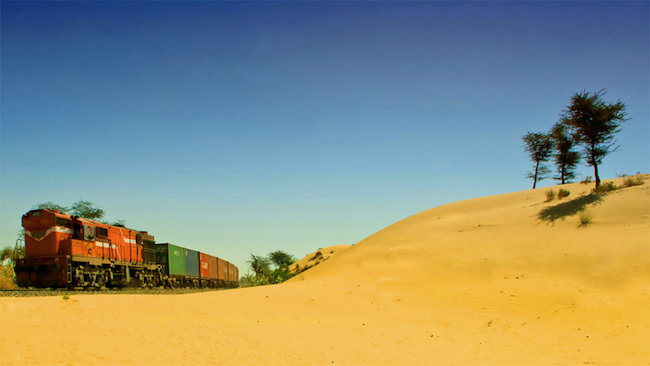 Pros: The train runs at a convenient time, you can spend the day in Jaisalmer and leave at your own leisure. Cons: As it is a long distance train (goes up to Delhi), it can get delayed although it doesn’t happen too often. 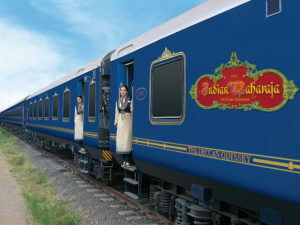 There is an intercity that runs between Jaisalmer and Jodhpur, (Dep. 23:30 Arr. 05:20). However, as the timings are odd and inconvenient (you miss out on a good nights rest), we recommended taking the evening train. Pros: Although the travel time is the same, the train is convenient and much more cost effective than renting a car. As it is a special train, it is not permanently on the railway system but extended on a regular basis. Cons: This train has only chair car seating (like in an A/C Volvo Bus). For some it can get uncomfortable sitting at a stretch for 7 hours. The train halts at Ajmer (nearest station to Pushkar), you can take this train if you’re going to Pushkar from Jaipur or you want to go to Udaipur from Pushkar. Pros: Driving to Jodhpur takes about 5.5 hours or more depending on traffic conditions. The train is superfast and reaches in 4.5 hours so definitely worth saving the extra bucks. Cons: Early morning train, still being however, the best option available on this route. If you’re very interested in Rajasthan, and want to include Delhi and Agra into your tour, here are some great routes that can help you do that. Pros: Best way to get to Agra from Khajuraho. There are no direct flights and the only other way is to fly to Delhi (again most flights are via Varanasi) and from Delhi, drive to Agra. Cons: An entire day is spent in the train. However, when possible, travel by First class as the fare is cheap enough and you get to spend the day in absolute comfort. Here’s a list of the twenty best places to visit in the entire northern region of India. Pros: The train timings are perfect. You take the train after an entire day of sightseeing in Delhi and after a good sleep; you wake up in the Himalayas. Cons: Pathankot is the nearest station to Dharamshala and it’s a 3-hour drive from the station to Dharamshala. So after a long train journey, another 3 hours driving can get tiresome. Nevertheless, the drive is extremely scenic. Recently flights have been introduced and Air India and Spicejet have regular flights between Delhi and Dharamshala. Pros: If travelling on a budget, taking a train to Amritsar is the best alternative. You can also take buses, but train would be more comfortable. There is another Shatabdi that leaves in the evening at 16:30 towards Amritsar. 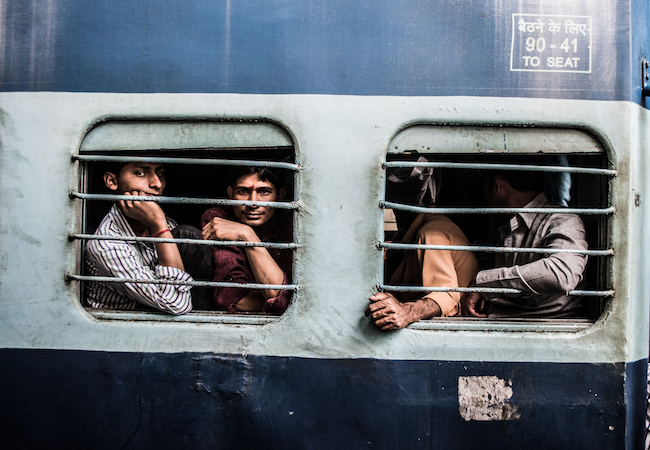 Pros: The bumpy roads from Delhi to Haridwar make this train a better alternative. There is another Shatabdi that leaves from Delhi at 15:00 reaching Haridwar around 19:00. Haridwar is a 30 to 45 minute drive to Rishikesh. You can also fly to Dehradun which the nearest airport to Rishikesh from Delhi. Rishikesh is an hour’s drive from Dehradun. Let us help you travel your own way by contacting us and filling out our quick form, and you’ll be in India enjoying your adventure in no time!